Alicia, who has lived in Oak Park for over half her life, graduated from Columbia College Chicago with a degree in Journalism and Media Management. She's been with Wednesday Journal Publications since the beginning of 2013 and is now the Communications and Marketing Project Manager, assisting the Sales Team by coordinating materials, managing Public Relations, and organizing company-sponsored events. Alicia considers herself an amateur "foodie"and a serious aficionado of all things bacon. While not working, she enjoys touring the local restaurant scene in search of unique and delicious offerings. Her background in journalism and her passion for bacon was the inspiration for Bacon Quest, a feature of the 2014 Fall Food & Fun special section. After it published, she became known as Bacon Lady and has since won several costume contests as Super Bacon Lady. Click here to follow Super Bacon Lady on Facebook! Or check out Bacon Quest part 2 in the Fall Food & Fun section 2015. 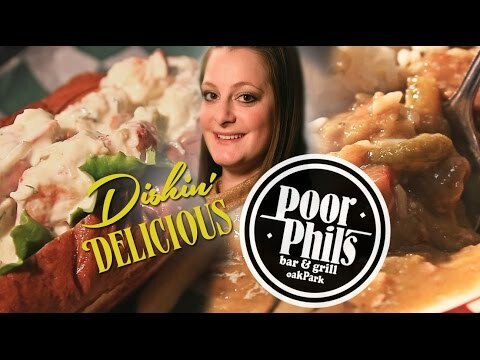 Just recently, Alicia has become the host of the new food video series Dishin' Delicious, about dining options in Oak Park. It airs on the Village of Oak Park's youtube channel. Click here to watch the first segment featuring the Crab Crusted Walleye at Marion Street Market. The library at Forest Park Middle School hosted a staff potluck lunch with "Body by Bacon" as the theme. Choose from the 5 most popular spots in Berwyn and vote for your favorite by Oct. 1st! A search for creative bacon dishes leads to an American food restaurant in Oak Park.